The Florida Panhandle is a great area for viewing wildlife. We recently sighted a mink near the Ochlockonee River. Mink exist in the wild in Florida, but are rarely seen as they are small, fast moving, and good at hiding. They are relatively small (between 1.5 to 2.5 feet in length and weighing less than 4 lbs.) with a long sleek body, thick tail, small ears and small eyes. They are dark in appearance, sometimes having a small white patch along the chin and throat. Mink enjoy water and are sometimes seen swinning or running along the banks of rivers and streams. They are most likely to be seen at night or early in the morning. 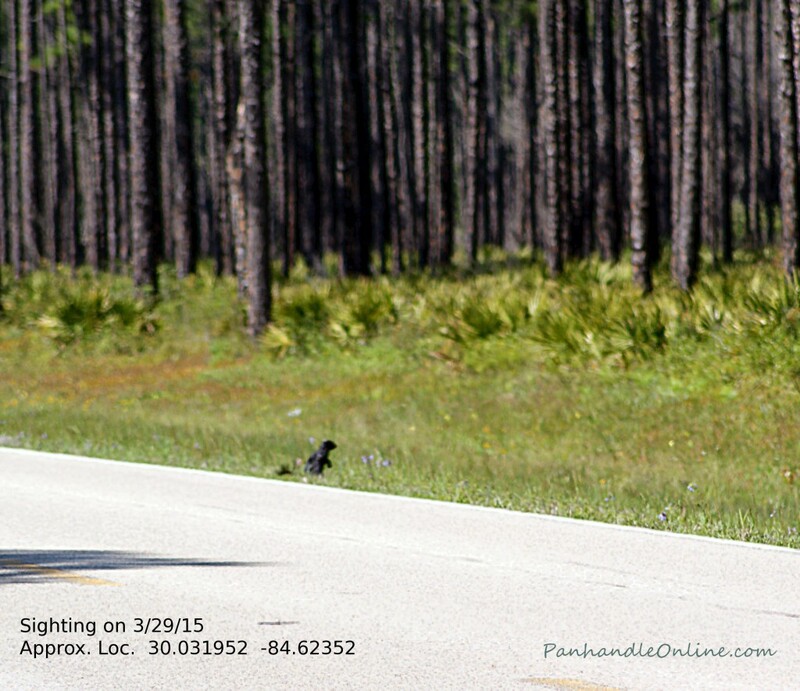 Our sighting was a few miles north of Carrabelle on the edge of Hwy 67 in mid to late afternoon in late May. Before we could slip up close enough to focus a decent photo, the mink scampered away due to an approaching vehicle from the opposite direction. From this distance, as you can see in the photo above, it could easily be mistaken for a black pastic garbage bag blown to the side of the road. But, if you look closely, you can see his head, shoulders, right front leg, and tip of tail. He scampered away in a rolling gait. It is difficult to track mink as sightings are so rare. If you should see one, you can report it at https://public.myfwc.com/hsc/mink/getlatlong.aspx (as we did).